June is Migraine Awareness Month. The sinking feeling of a migraine coming on is one that migraine sufferers are all too familiar with. Over-the-counter medications and lying in a dark room until a migraine passes can help, but not everyone has the luxury of simply dropping everything when they’re experiencing a migraine. This is especially true for people who risk losing much-needed income if they leave work early, or individuals who are responsible for caring for young children or other family members. 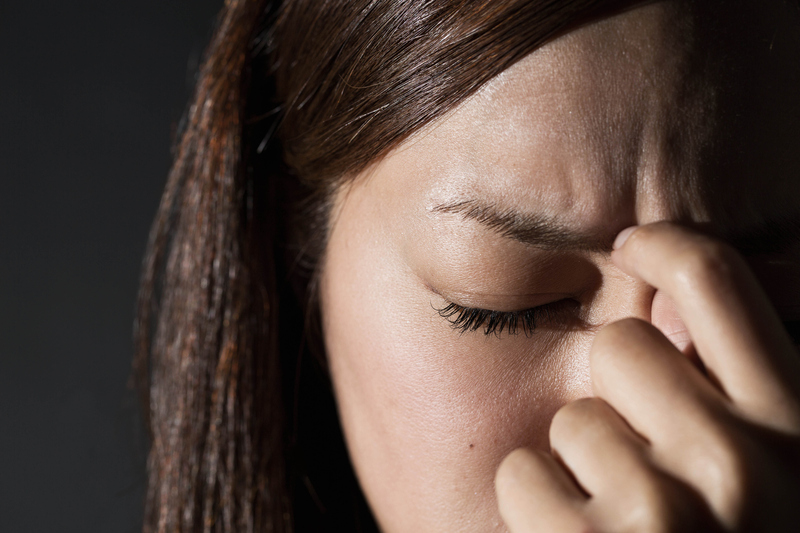 Migraines especially affect women, too — about 18% of us experience these debilitating headaches, compared to 6% of men. Although there’s no magic, one-size-fits-all cure for migraines (oh, how we wish it were so! ), doctors recommend a number of preventive measures to reduce the frequency and severity of migraine attacks — and some of them may surprise you. We spoke with experts and they gave us their top migraine prevention tips that you’ve probably never heard of. Dr. Prentiss Taylor, VP of medical affairs at Doctor On Demand, told HelloGiggles that certain blood pressure medications, antidepressants, and seizure medications have been found to either reduce or prevent migraine attacks in people without a history of hypertension, depression, or seizures. Taylor said that the leading preventive medications are Amitriptyline, Propranolol, Nadolol, and Divalproate. He also noted that calcium-channel blockers Verapamil and Flunarizine are commonly used, and the antidepressant Venlafaxine can be effective. All of these medications require a prescription and, as Taylor told HelloGiggles, some of them aren’t safe for sexually active younger women who aren’t using an effective contraceptive method — so keep that in mind when discussing with your doctor. "Two things on preventive medications are important to remember," Taylor said. "First, patience is needed, as studies show it takes four weeks of daily medication for these to start to be effective. Also, your doctor may need to increase the dose over three months to reach full effectiveness. Second, if one preventive option does not work for you, another one might work amazingly well. At the current time, the response of an individual can’t be accurately predicted." Taylor told HelloGiggles that Botox injections in the forehead and neck muscles can be effective — but this preventive measure should only be used in patients with “chronic migraine,” which is defined as having migraine attacks on more than 15 days per month. "This therapy is expensive, requires in-person treatment by an expert, and if effective, usually requires injections every 12 weeks," Taylor said. Botox is only used in the most severe cases — but if you suffer from chronic migraine, it’s something worth discussing with your doctor. Cognitive behavioral therapy is a psychotherapy technique that can teach patients how behaviors and thoughts affect their perception of headache pain. "CBT may benefit some people with migraines," Taylor said. "Please look for a therapist whose website states they have special expertise in CBT." Dr. Mark Khorsandi, founder of the Migraine Relief Center, told HelloGiggles that diet can play a major role in migraine prevention. Khorsandi recommended avoiding chocolate, red wine, cheese, sweeteners, and processed meats if you suffer from regular migraines. "Drinks and food that contain caffeine or alcohol are common triggers for headaches," he said. "Try to limit your amount consumed each day, or avoid completely if possible." Khorsandi also said to be mindful of how much gum you’re chewing. "Chewing gum over a long period of time can result in jaw stress because you are contracting muscles in the jaw continuously, which can provoke a headache," he explained. "Try to avoid chewing gum or limit yourself to every few days to give your jaw a break." Dr. Dawn Dore-Stites, a Reverie Sleep Advisory Board member, said that although headaches are more commonly associated with insomnia, sleeping too much can also trigger migraine attacks. "Many patients will report that sleeping in can trigger migraines," Dore-Stites said. "In addition, migraines can be associated with obstructive sleep apnea, which can also lead to oversleeping due to poor sleep quality." Dr. Jared Heathman recommended biofeedback as a way to prevent migraines. It’s a technique that uses electrical sensors to help teach you how to use your mind to control your body, according to the Mayo Clinic. "Biofeedback teaches patients to monitor and adapt physiologic traits, like blood pressure, muscle contraction, and skin temperature," Heathman explained. "These changes can reduce migraines." Additionally, biofeedback is used to treat anxiety and insomnia — both of which can trigger migraines. As with any medical condition (especially a tricky one like chronic migraines), not every technique will work for every migraine sufferer. But trying preventive methods like these can put you on the path to a healthier life with fewer hours and days spent coping with excruciating migraine pain.